It doesn’t take much to damage the delicate sensory cells of the inner ear—loud noises, a toxin, or even a life-saving antibiotic can damage or kill the minuscule hair cells that convert acoustic signals to electrochemical signals in the nervous system. 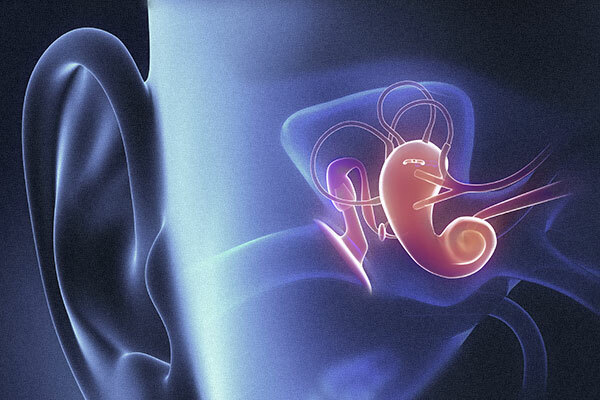 If too many of these fragile cells die, hearing dies with them. WSU researcher Allison Coffin, of the University’s Department of Integrative Physiology and Neuroscience, wants to make sure this doesn’t happen. With funding from the National Institute of Health and the Action on Hearing Loss Foundation, Dr. Coffin is exploring ways to protect the inner ear’s stereocilia, and the cells that support them, from damage caused by ototoxic, or ear-damaging, antibiotics. Her research involves what may seem to be an unlikely participant: fish. Several species of fish have sensory cells that are evolutionary related to the hair cells in human ears—but these cells are part of external sensory organs, not hidden inside the inner ear. By studying the easily accessible cells of these fish, Dr. Coffin hopes to find out how to prevent and repair damage to the analogous cells in humans. The initial data indicate that caffeine may have a significant protective effect against ototoxic medicines. Dr. Coffin‘s lab plans further research to identify the mechanism behind caffeine’s protective effect. Another promising shield against ototoxins is MM-201, a new neuroprotective drug developed by WSU scientist Joseph Harding and Leen Kawas, CEO of M3 Biotechnology Inc. Ongoing work in the lab seeks to understand how these compounds protect hair cells. The researchers are also seeking other ways to prevent ototoxicity. In time, it may no longer be necessary for someone who needs one of these damaging yet life-saving antibiotics to choose between life and living without hearing.